If you grew up making your own pasta or assisting your Italian grandmother while she skillfully prepared Sunday dinner, move along. This recipe isn’t for you. This is for all of the people who are intimidated by the awesome Italian architectural splendor that is lasagne and have thought, “Nope, can’t do it. Too complicated.” I’m here to tell you that you CAN do it, and it’s really quite simple, assuming you follow certain elementary procedures. And unlike me, you don’t have to wait until you’re 35 to try this for the first time. 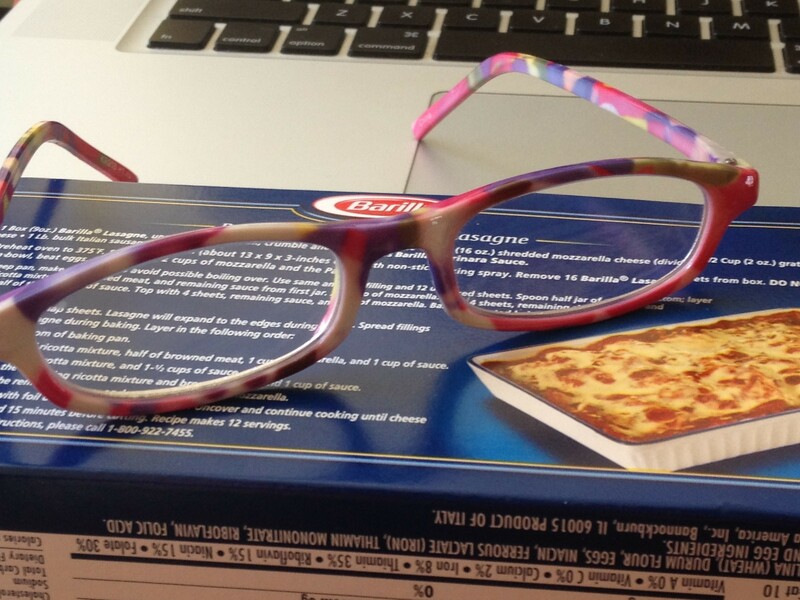 The number one secret is this: Barilla No-Boil Lasagne Noodles. Secondly, use a good sauce. Either make your own or cough up the big bucks and buy two decent jarred ones (hint: not Ragu or Prego). The sauce is important, yet very forgiving at the same time. I usually just open a jar of crushed tomatoes and start adding a little of this and a little of that like a crazy mad scientist, and eventually I stop once I like how it tastes. Finally, do not skimp on the cheese. When it comes to lasagne, I am definitely from the More is Better school of cheese distribution. Maybe because I am rapidly developing old lady eyes, or maybe because the writing is legitimately too small, but I always have the worst time reading the back of the box instructions. I am going to lovingly type them out here, both for your benefit and for mine. Remember, be creative! Put your own personal stamp on this lasagne, whether it’s a splash of red wine, some crushed red pepper, extra veggies, pancetta instead of ground beef — or all of the above. These lovely rainbow readers are the last gift Mom Mom gave to me. I couldn’t read the box without them! She had a matching pair. I have reading glasses planted everywhere throughout my house. IMPORTANT: If using a 2-inch deep pan (such as the 13 x 9 Pyrex which I use), make only 3 layers to avoid boiling over. Use the same amount of filling, just distribute it evenly. If using meat, add it to your sauce, OR do it the Barilla way, which involves adding it above the ricotta mixture. Both work fine. In medium bowl, beat two eggs, and combine with ricotta with 2 cups of the mozzarella and 1/2 cup grated parmesan. Set aside. Layer 1: Spread 1 cup of marinara sauce in pan. Cover with 4 noodles, overlapping a bit as necessary. Spread with 1/3 of the ricotta cheese mixture. Layer half the meat over top. Sprinkle with 1 cup mozzarella. Spread 1 cup marinara over that. Layer 2: Cover first layer with 4 more noodles. Spread with next 1/3 of the ricotta mixture. Spread 1 cup marinara over that. Layer 3: Cover 2nd layer with 4 more noodles. Spread last 1/3 of the ricotta mixture. Layer last half of the meat over that. Spread with 1 cup marinara. Layer 4: Cover 3rd layer with last 4 noodles. Spread remaining marinara over top, completely covering noodles. Sprinkle last 1 cup of mozzarella over top. Cover pan with aluminum foil. Bake at 375 degrees F for 50-60 minutes or until bubbling. Remove foil and bake for another 10 minutes. Let stand for half an hour before cutting. 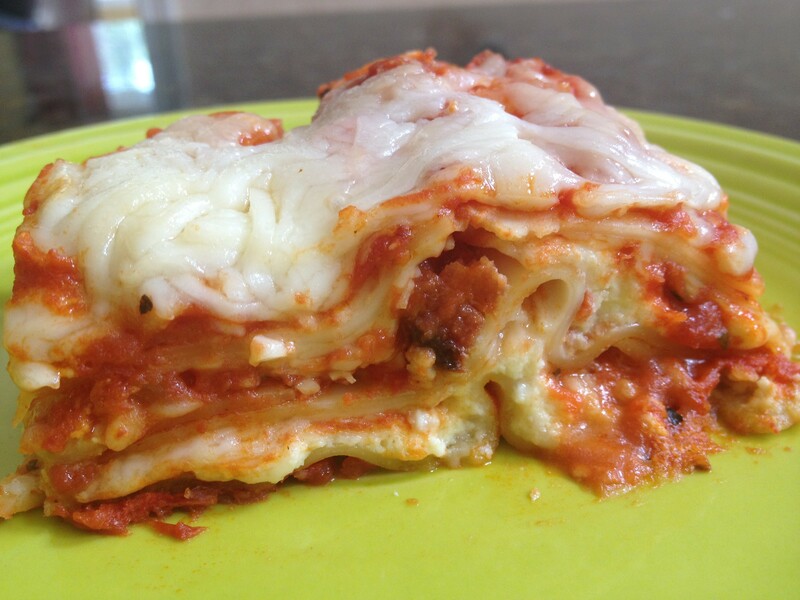 This entry was posted in Main Dish and tagged Barilla No Boil lasagne recipe, easy lasagne, no-boil lasagna, no-boil lasagne by Mom Mom's Apron. Bookmark the permalink. Thank you for posting this! Barilla recently changed the recipe on the back of the box and it’s just not the same. (No eggs, baking time is now only 30 minutes which doesn’t make sense) Much appreciated. You’re very welcome! I can’t imagine cooking a lasagne for only 30 minutes, especially with no-boil noodles. I think even the Stouffer’s lasagnes cook longer than that! Maybe ut because im new at this, but do you have to cook the noodles? As long as you use noodles that say “no boil” or something similar, you do not pre-cook the noodles. You assemble it uncooked and the noodles soften during the hour in the oven. Just be sure you buy the right kind!